This London relocation guide has been designed with the explicit intention to provide expats and travellers with all they need to know about moving to London. This exciting chapter covers: Banking and Utilities. Learn about your visa limitations, tax variations, your eligibility to work, even the best mobile phone contracts - this chapter is loaded with useful stuff you’ll require during your stay. The guide includes actionable insights and direct links to official websites that can help you along the way. It’s a glorious moment following months of planning when you’re finally able to move to London. We know that you’re courageous and spontaneous (that’s why we like you), but having your paperwork in order before your trip will ensure a smooth landing at the other end. This chapter will focus on the little (and legal) administrative precautions that will save you major headaches during your first few months in your new home. From understanding your visa limitations, tax variations and best mobile phone contracts to your eligibility to work and the bureaucratic prerequisites of getting paid; we’ll show you how to dot the i’s and cross the t’s leaving you free to explore all that London has to offer. In this chapter, we hope to guide you through the not-so-glamorous practicalities of relocating to London. First thing’s first. If you don’t have the valid entry documents for your visit to London, you won’t get much further than the airport. You can find out everything you need to know about whether or not you’re eligible for a visa to general trends in processing time on the UK Border Agency Website. Check whether you need a visa at all. Manage and track your application. View the laws pertaining to immigration. View the full list of what will and will not be allowed through customs. Find out about your National Insurance Number (NI). This is used to track your social security contribution and builds your entitlement to state benefits such as State Pension and Maternity Allowance. You will not be able to receive payment from any employer without your NI number. You can only apply for this number once you’re in the UK. Upon arrival call the National Insurance Number Application line on 0300 200 3500 for advice on National Insurance numbers and how to get yours. If your passport is from within the EEA (European Economic Area) you may need to arrange an interview with the Department for Work and Pensions (DWP). The most common type of bank account in the UK is a current account. This comes with all the basic facilities you would expect, such as the ability to arrange direct debits or standing orders and the ability to apply for an overdraft. Most banks also offer package accounts. These offer extra services such as travel insurance or breakdown cover for a small monthly fee (usually around £10- £15). Some of these package accounts require a good credit score which can be a barrier for international applicants. Each bank has its own unique charges, benefits and fees so it can be very beneficial to shop around. If you travel a lot for work or you’re back and forth between London and home; perhaps an account that offers annual travel insurance plus competitive rates on foreign transactions would be most suitable. You may want to consider Metro Bank and Monzo (a pre-paid card which connects with an app you download to your phone). These apps provide overseas spending on your card at a heavily discounted rate in comparison to other high street banks. Money Saving Expert, Money Supermarket or uSwitch are free to use sites offering impartial comparisons of bank accounts’ benefits and charging schemes. 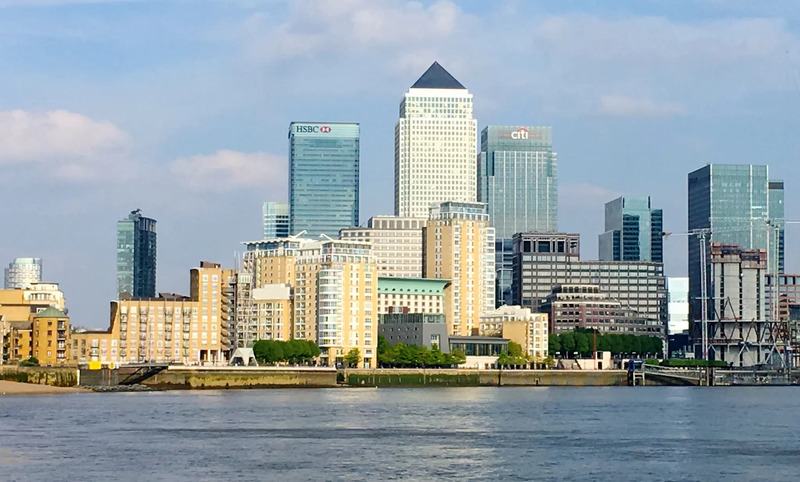 They compare products from the country’s’ biggest banks including Santander, Natwest, Nationwide, First Direct, Lloyds, TSB, Halifax and others. 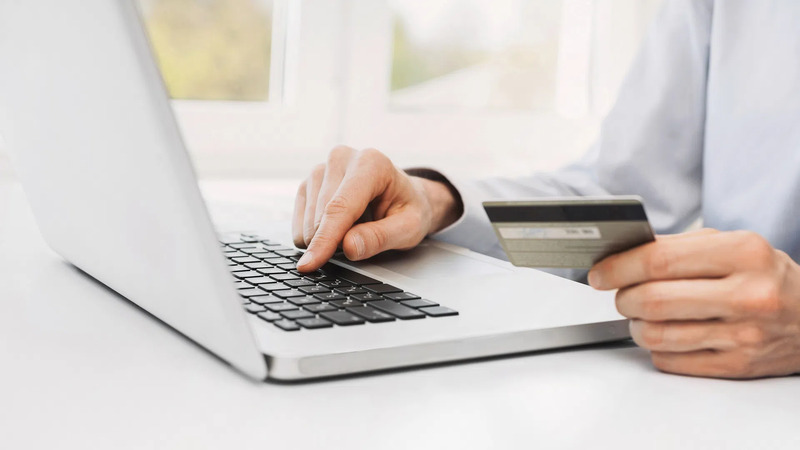 Most UK banks now offer an interactive online banking tool, but if this is a service you rely on heavily, be sure to check with the bank before committing. Banks with a global presence such as HSBC or Barclays may be able to set-up your UK bank account from your current location. Otherwise, setting one up once you’re here is relatively simple, but requires a legitimate proof of address, which can be a struggle for new arrivals. Most banks will accept a utility bill or bank statement delivered to your current UK address and with your name on it. To avoid waiting around to receive this we recommend applying for a pre-paid credit card (like Monzo) to be delivered to your new address before you arrive. This will provide the proof of address required upon your arrival. 1st Contact provides a range of kickstart packages including the setup of a UK bank account to help you find your feet during what will inevitably be a very busy time. You will know that foreign exchange and foreign transaction fees can stack up when using a credit card abroad. We advise you to check the terms and conditions of any existing credit cards before attempting to use them in London. You can always apply for a new UK or international credit card once here. Income tax is automatically deducted from your salary at a rate informed by your tax code. Your tax code is dictated by your salary, income history and employment papers. If you begin working without your NI number, you are likely to be issued with an emergency tax code and taxed more than you owe. Any discrepancies are paid or charged at the end of the tax year. The tax year runs from 6th April – 5th April of the following year. All taxpaying citizens are granted a non-taxable personal allowance of £11,500. Salaries over £123,000 do not qualify for a personal allowance. Salary earned over £11,500 and up to £33,500 is taxed at 20%. Salary earned between £33,501 - £150,000 is taxed at 40%. Anything earned beyond £150,000 is taxed at 45%. 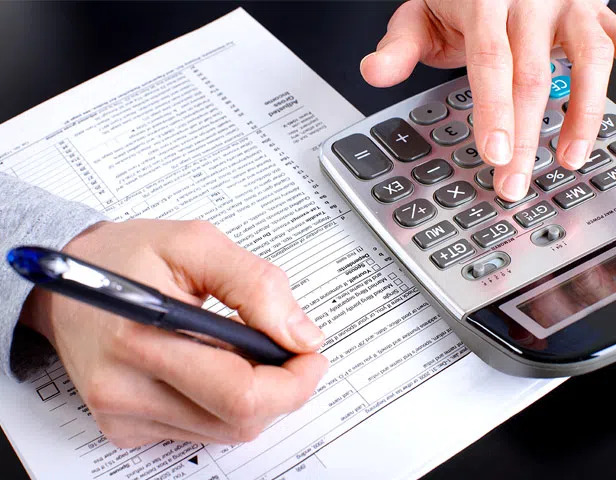 Separate to Income Tax, Council tax is a compulsory tax charged by your Local Authority to fund maintenance and services provided within that area in London. Council tax rates are unique to each borough and can vary widely. How much you pay will be dictated by your location combined with the valuation band of your property. Find your local council and its bands here. It should be noted that property occupied by full-time students is exempt from council tax. The default energy suppliers in London are British Gas (gas) and EDF energy (electricity). We recommend getting in contact with your energy supplier as soon as possible to declare a change in tenants at your property and to move the responsibility for the bills over to you. If you are in rented accommodation, check with your landlord whose responsibility this is. Once transferred, at this point, it is standard practice to take meter readings and agree on a starting point to begin measuring your usage. Now, these pre-selected providers are by no means the cheapest. uSwitch compares energy rates from e.on, Npower, SSE, The Co-operative Energy, First Utility and more to see if UK tenants could be eligible for cheaper, monthly energy bills. When you are staying in a rented serviced apartment you may not be eligible to change provider, we recommend speaking to your landlord or estate agent before taking any action. Another handy tip is to have a smart reader installed into your home. This is an energy reading meter that analyses how much money you could save for small things like switching off certain lights and appliances. You can avoid the fuss of comparison altogether when you book a serviced apartment in London with thesqua.re. Unlimited energy usage is included in your rent to be paid monthly. In fact, there isn’t much that hasn’t already been considered, compared and included within our rental costs for your convenience. For users looking to upgrade to the latest mobile phone, we would recommend a pay monthly mobile contract that includes a brand new mobile phone. You will need to sign a contract (which could be up to 24 months) to effectively pay off the cost of the phone, but your calls, texts and data will also be covered by the limits detailed in your package. Try to get an example of your current usage from your current provider to steer your usage limitations. You don’t want to be caught short, or end up paying for tons of data and minutes you’ll never use. The alternative is a sim only contract. Historically cheaper than a pay monthly contract, these are ideal for people looking to keep their existing phone, but still be able to make affordable calls in the UK. It’s key here to check compatibility of your phone with your new sim card, and again try to allow your current usage to inform your decision. If you want to steer clear of contracts in the instance that you might not be in the UK for an extended period of time, then a pay-and-go sim like Giffgaff offers freedom, flexibility and data bundles you can marry up to your level of usage. In the UK, broadband providers tend to sell packages including rental of a landline telephone. Current changes in legislation are seeking to change this, but it’s most likely that you will have to commit to a package where broadband is bundled up with a telephone landline. These are sometimes offered with a television package. You can expect to pay £15-£20 per month for all the broadband you should need plus a landline. uSwitch compares broadband packages from TalkTalk, Virgin Media, BT, sky, Plusnet and more. At thesqua.re we understand that staying connected is not to be left to chance; that’s why all our serviced apartments include free Wi-Fi at no extra cost. All UK households that watch television in one form or another are required to obtain a television license at the cost of £147 for the year or £24.50 in monthly instalments. A television license is also required even if you are simply streaming television online via the BBC iplayer or other British channels. Most households can pay a one-off fee for a basic “Freeview” package of digital channels or you can opt for a more varied television package from other providers like Sky or Virgin media, which can also be a part of your Telephone and broadband deal.